Tim, Becky, and I just returned from Arcata where we were helping our friends at Bird Ally X and Humboldt Wildlife Care Center with a pelican response. Pelicans all along the north coast have been contaminated with fish waste being discharged into the ocean. Instead of getting a free meal, they get oily feathers and lose their waterproofing. Although Bird Ally X is working with local authorities to stop the discharge, in the meantime they have more than 100 contaminated pelicans waiting to be washed. 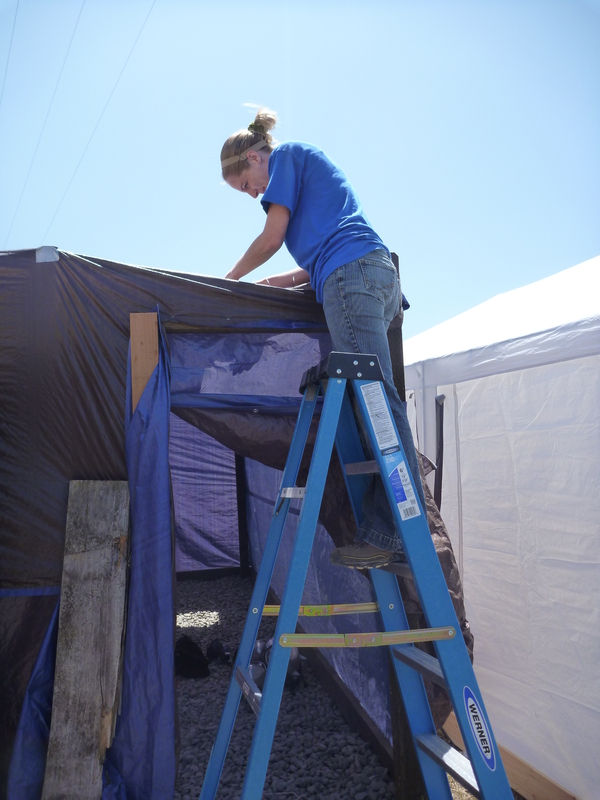 Tim and Becky spent all day Tuesday working on facilities, finishing up another tent to house dirty pelicans. Tim made some improvements on the other tents, increasing ventilation with strategically placed holes and some fans. I examined and bled pelicans already in care, did some intake exams, and looked at the medical cases. 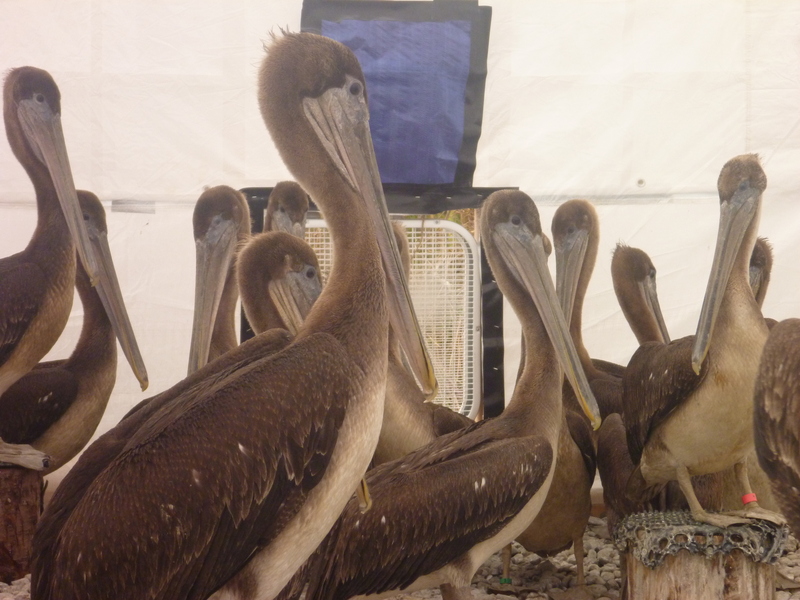 Becky helped with pelican exams, cared for sick pelicans, and processed the blood samples. Tim also built a second wash station, which will help a lot, as many birds are currently ready for wash. They have some very dedicated interns and volunteers helping out, but because it is summer in this college town, there aren’t as many people around to help. On the other hand, a steady stream of new volunteers came through the doors, showing that the local community is eager to help with their pelican population. Volunteers also took care of the staff, bringing by coffee, bagels, snacks, and even home-cooked meals! Luckily, the pelicans are self-feeding, so that helps simplify things a bit. If you’ve been looking for an excuse to visit the Humboldt Bay area, now’s the time — volunteers are urgently needed to help with construction as well as washing and animal care. Here’s Becky showing off her talents at facilities modification! 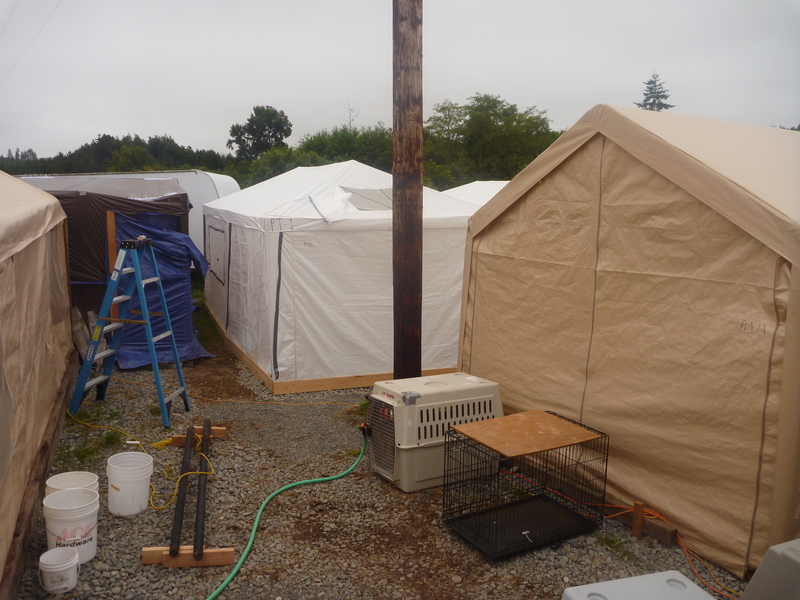 Pelicans in a tent, with their new ventilation fan visible in back, courtesy of Tim. I really enjoyed working with you and Becky doing exams. I got the pleasure of working with Kyra yesterday. 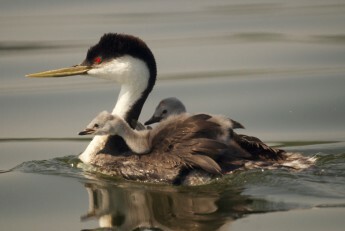 Thank you so much for coming out our way to help HWCC and Bird Alley X.